Professional External Corner Fixings Bracket-Stainless Steel. When running a straining wire around a corner it can be difficult getting a fixing close to the corner to prevent damaging the straining wire or the building. This new bracket will help to solve this problem. 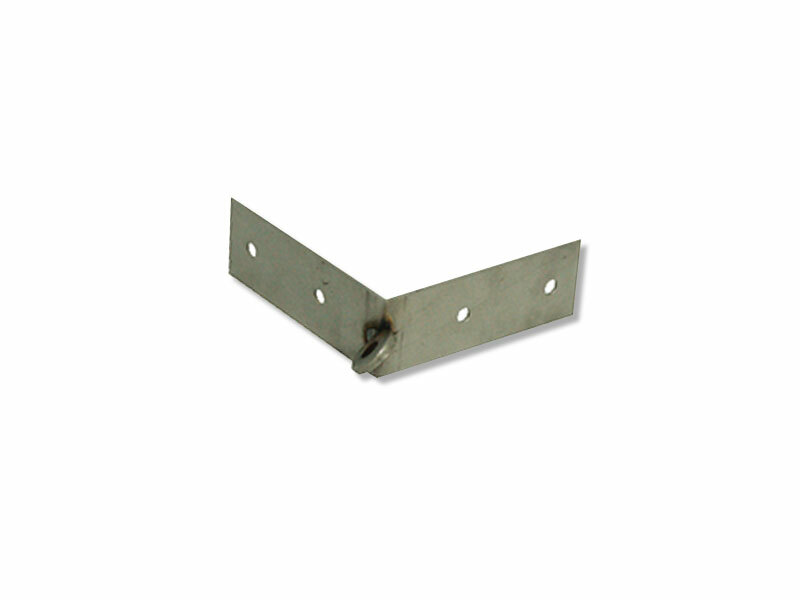 Thanks to the angle of the hole, this bracket can also be used to fit a wire neatly up an outside corner of a building. Fixing holes 6 mm diameter.